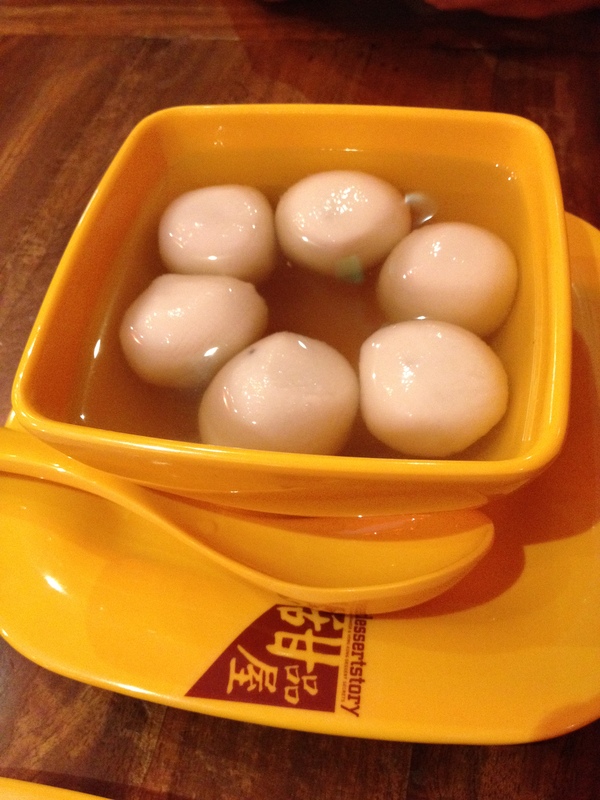 There’s alot of buzz about Hong Kong desserts in Melbourne of late. And I can never get enough of it! The Mr and I were at Glen Waverley for dinner one night, and we chanced upon it while roaming around the area. We are relatively new to the area, and wasn’t too sure what we could find there. And we found a place to satisfy our sugar cravings! When we got there, it was super packed and we the last couple of seats available. Thankfully we were a few minutes earlier, because after us was a line of people wanting to get seats! They had outdoor seats, but it was far too cold to sit outside. The menu was extensive and there were really heaps to choose from, both hot and cold. We were definitely craving (and needing) something hot so we chose a dessert each! Trust me, it wasn’t easy narrowing down our choices because we just wanted to order everything haha. There were some interesting combinations too! Some of which we never heard or seen before. I ordered the soya beancurd with black sesame paste. It kinda killed two birds with one stone and satisfied my cravings for both desserts. I was a little worried about the combination cause I never heard of it before. It’s usually sold separately back in Singapore. But I decided to give it a shot anyways and no regrets there! 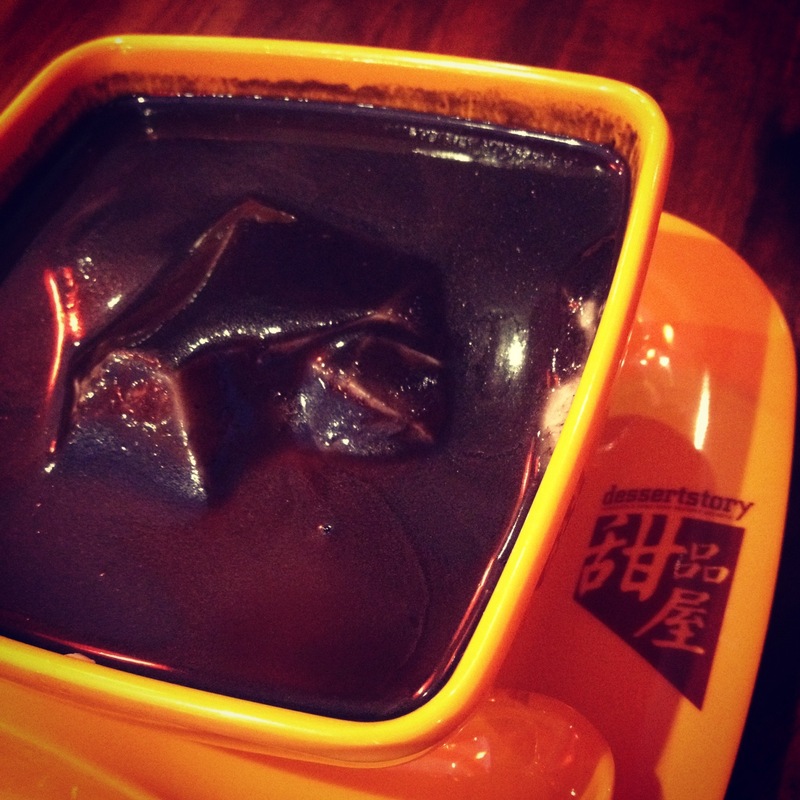 The black sesame paste was really fragrant, thick and smooth and not overly sweet. The beancurd was really smooth as well and just melts in your mouth. I do recommend it if you are a fan of black sesame! 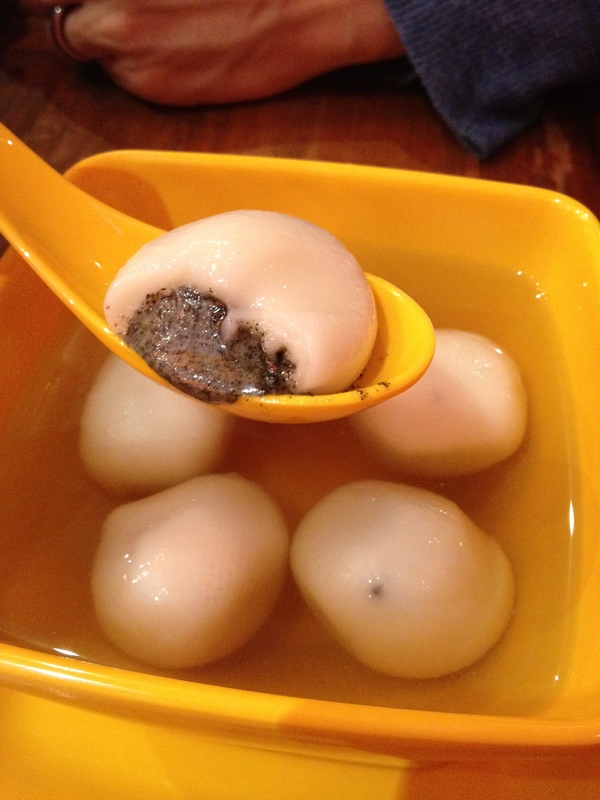 It was a good balance between the sweetness of the glutinous rice ball and the sweet soup. 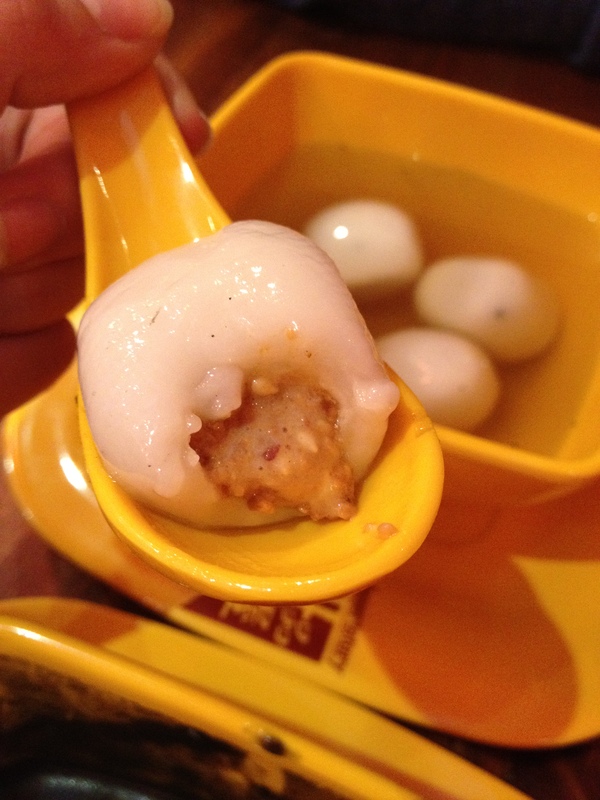 Makes me miss those I usually get from China Town Food Street and they sell their glutinous rice ball in a peanut sweet soup! Noms! I have to admit. If I were given a choice between the peanut and the black sesame, I am more inclined to choose the black sesame. It’s funny how my taste buds have changed through the years. I use to only have the peanut ones, but now I will only order the black sesame ones. hehe Although they are both delicious! So what are the kind of asian dessert you enjoy? Would love to know if you have a favourite place in Melbourne to have them so I could pop them in my “to-go” list! You beat me to it again 🙂 I’ve gone so many times and have been meaning to blog about it hehe but haven’t had the time ~ but it’s definitely one of my new favourite places 😀 especially since it’s so hard for us to get ‘HK style’ desserts here ~ WOO HOO and unlike Monga that’s upstairs they have one in Glen Waverly too YAY! hehe (: oopsie! hehe i’ve been backlogged for so long so just trying to get what I wanna bog about out! hehe But yes! 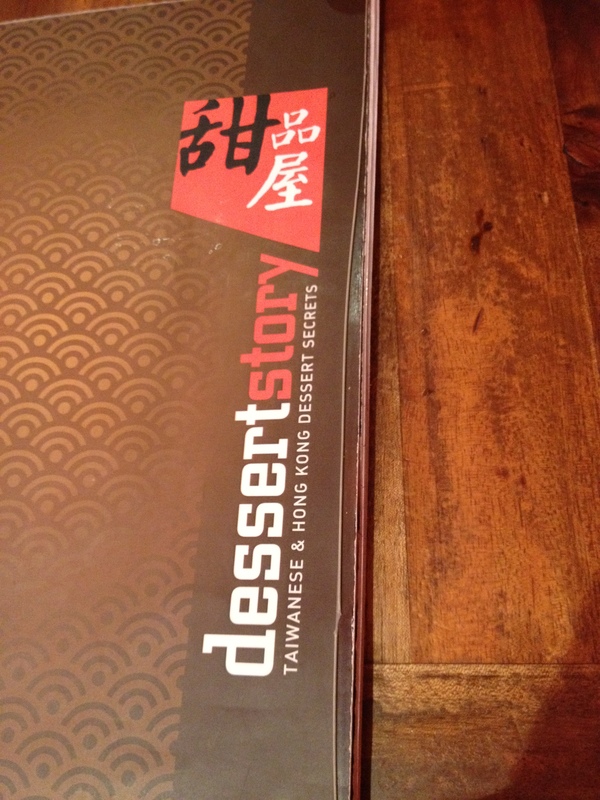 The desserts at Dessert Story are quite authentic I think? What do you think? hehe Not too bad to satisfy cravings for HK desserts ya? (: and yes! I didn’t enjoy Monga as much though! Quite authentic? I don’t think so. What you find in Hong Kong makes what you find in dessert story look like a cheap knock off. Hi William, sorry to hear that the desserts doesn’t make the mark for you. Of course it won’t taste as fantastic as those you get back in Hong Kong, but really. it’s among the best you can find here in Melbourne, in my opinion! (: If you are able to find others in Melbourne that is closer to those you get in HK please do let me know! Would love to have a try! Thanks for popping by though! Maybe they have too many orders at the one in China Town! If you stay near the others, then better off going there instead! hehe Although the one at Glen Waverley is pretty packed too! A word of caution about “The Booth” in Box Hill. They serve Taiwanese Gourmet. I haven’t had their mains, but their desserts aren’t up to standard. I ordered the tau huay with sesame there and was sorely disappointed. Will be looking forward to trying Dessert Story! On a different note, if you’re ever in Brisbane, QLD, I would highly recommend “Sweet Dessert Shop” & “Little Singapore” in Market Square, Sunnybank. Their desserts are delicious and Little Singapore has yummy authentic Singaporean food (their Brisbane CBD store isn’t as good)! Hi Dan! thank you for letting me know to not try the dessert at the Booth in Boxhill! I’ve tried their food a couple of years back though. Was alright! And thank you so much for your recommendations in Brisbane! I’m actually heading there at the end of July so it’ll be perfect! Have already written them down in my “to-go” list! Thanks again! Coffee Square, also in Market Square. HK food is their specialty – their Portuguese Style Baked Rice is a MUST TRY!! I’m at the Gold Coast atm for study, I’m originally from Melbourne, so I still head back during holidays! Try their mango shave ice next time! Damm Shiok! I’m now waiting for Meet Fresh to open. Had Meet Fresh last year in KL and loved it! Going to be a close fight between these two. ooo! Okie! Really wanted to try their shaved ice but it was far too cold! haha So gonna try it the next time I’m there! Hehe do go! 🙂 planning a trip here soon? I wish!!! enjoying eating vicariously through you though! I’ve been twice now, once last year to visit my friend who emigrated to Melbourne 🙂 shes got a great baking blog too, she’s training to be a pastry chef! Definitely! Her blog is http://www.sweetgumbakery.com/ Hope you enjoy it! I love the bakeries in St Kilda… the window display is currently my desktop picture! 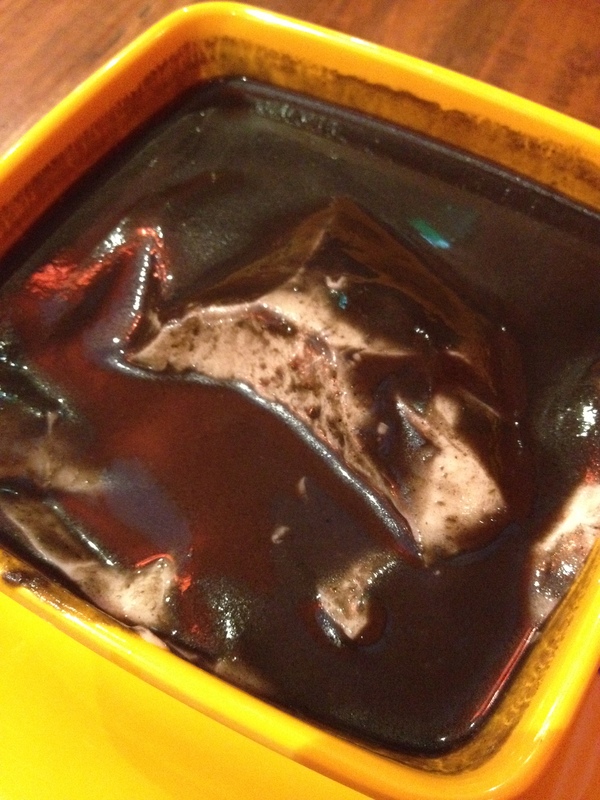 Sounds delicious – I’ve never tried black sesame in desserts – not far from me either will have to give it a try! I like Passionflower (Bourke St) but it’s all ice-cream so maybe wait to visit in Summer if you haven’t already… was thinking about dropping by Desert Story tonight but was too tired so perhaps another time :). Can’t wait! Ahhh! I’ve tried passionflower but wasn’t a big fan of their ice cream I prefer gelato! Hehe 🙂 but yes! U gotta try Dessert Story! Hehe ESP the hot desserts!